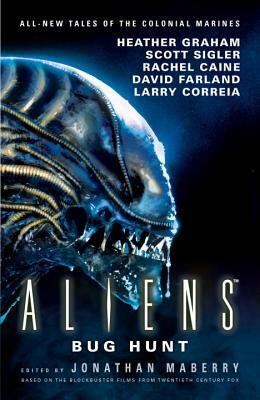 When the Colonial Marines set out after their deadliest prey, the Xenomorphs, it’s what Corporal Hicks calls a bug hunt—kill or be killed. Here are fifteen all-new stories of such “close encounters,” written by many of today’s most extraordinary authors. Jonathan Maberry is the is the multiple Bram Stoker Award-winning author of Ghost Road Blues and the NYT bestselling author of Patient Zero.